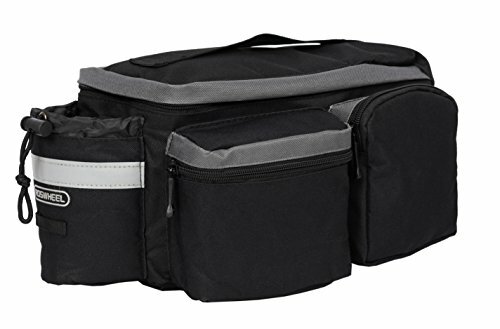 Roswheel 14024 rear rack bag is just as big as a large loaf of bread. It is compact and lightweight, designed for daily using or commuting. The bag is fully filled with PE cotton. It could be stood upright on the bike rack even filling not full. The bag could hold ton of items, such as daily essentials, cycling accessories and biking tools. Using included shoulder strap it could be converted to a handbag or a shoulder bag easily. The integrated bottle holder is very handy for the cyclist.